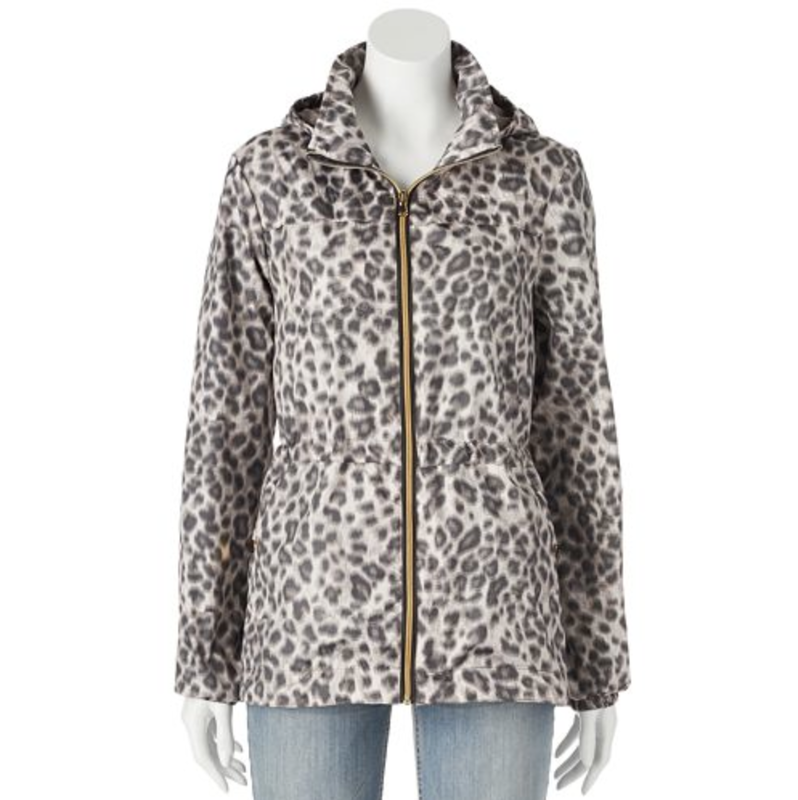 Even when it rains, you’ll be looking stylish in this women’s anorak rain jacket, featuring a Leopard print. In cream/gray. Lightweight for whenever you travel, the animal print rain jacket will be great for Spring showers.